SWEDESBORO, N.J. -- More than 1,000 people, including a South Jersey couple, were on a cruise ship that got stranded off Norway's western coast in bad weather over the weekend. 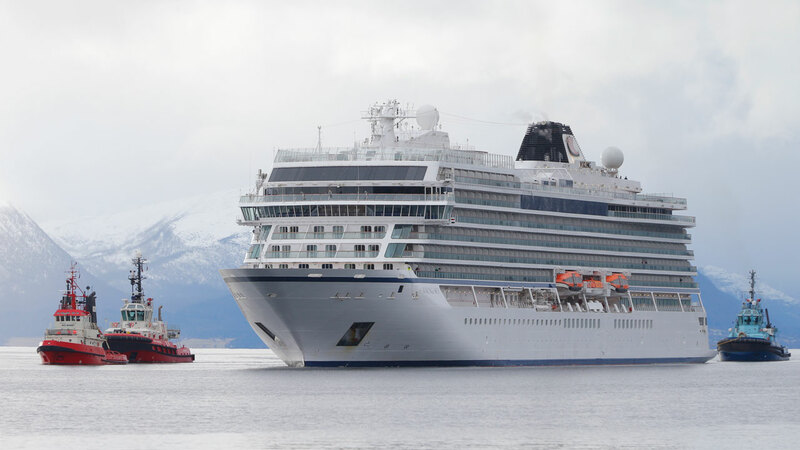 The Viking Sky carried 1,373 passengers and crew members when it suffered engine trouble in an unpredictable area off the Norwegian coast known for rough, frigid waters. The crew issued a mayday call Saturday afternoon. "The water breached the dining room area where we were located, knocking people to their feet, blowing furniture all around," said Dr. Charles Ivory, a retired South Jersey school superintendent. Lodged under a massive dining table, he couldn't reach his wife. They were trapped underwater. Five helicopters flying in the pitch dark took passengers from the tossing ship in a painstaking process that continued throughout the night. "Just as the water breached the dining room, the ship lifted in the opposite direction and the water drained just as quickly as it entered," he said. Ivory and his wife were saved by the Norwegian Coast Guard. Both are OK, but Ivory is now in a wheelchair with a minor leg injury. The rescue helicopters battled severe winds Saturday when they responded to the ship. The seawater was so strong it bent steel doors on the Viking Sky. On Sunday night, Ivory's neighbors recalled how excited he was ahead of his adventure. "He sent an email out about 10 days ago and said he was going to see the Northern Lights and I think he was going to go back to London after the cruise was over," said Jeff Cullinan of Swedesboro. Now they are relieved he is safe. "He's a great guy. I hope he's doing well and I hope to hear some tales from him when he returns," said Cullinan. "It's just frightening to think something like that could happen on a cruise. You think you're going for an enjoyable location then you go through something tragic like that," said neighbor Karen Carola. Ivory said he had X-rays on his leg and will be in a wheelchair until his leg heals.